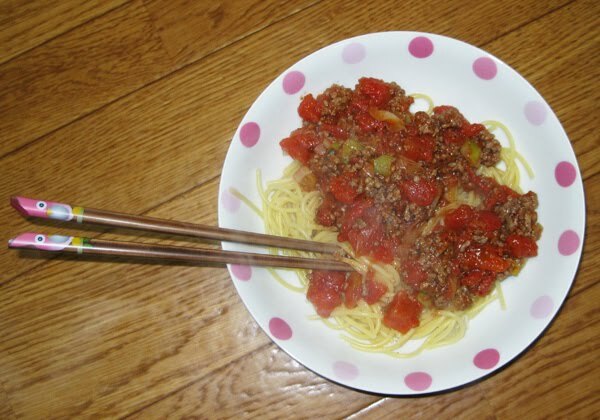 This dish is more Italian than Scandinavian and Japanese, but is really easy and good so we just had to add it..
First you put on water for the spaghetti, add some oil and salt, when it boils you add the spaghetti. Cut the Paprika and Tomatoes in to small pieces, then fry the meet in the the oil and add the crushed tomatoes, the leek plant and the paprika. Let it boil for a couple of minutes before you spice it up with some salt and pepper.